Morocco defender Hamza Mendyl has been sent to train with Schalke's under-23 team for a breach of discipline at the German club. Schalke's interim coach Huub Stevens did not elaborate on why the 21-year-old has been punished. "Everybody gets a second chance. For Hamza Mendyl it's a disciplinary measure that he is currently training with the U23. But he too can open the door again" he told the media. 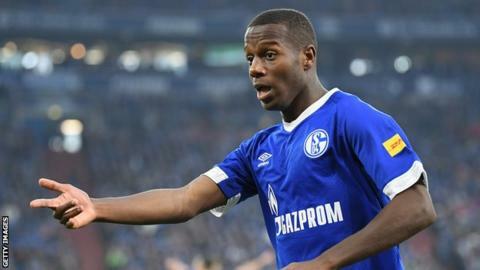 Mendyl has made 16 appearances in all competitions for Schalke this season, the last in the Champions League on 12 March. He joins Algeria's Nabil Bentaleb in training with Schalke's under-23 squad, who has been with them since 18 March.